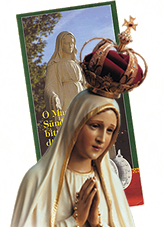 How can I help the Oratory of the Miraculous Medal? Name of the account: Österreichische Jugend C.G.D.R. * On filling out your bank transfer form, please make sure to enter the purpose of your donation, that is, the Oratory of the Miraculous Medal. This is the only way for us to assign the donation to the Oratory.